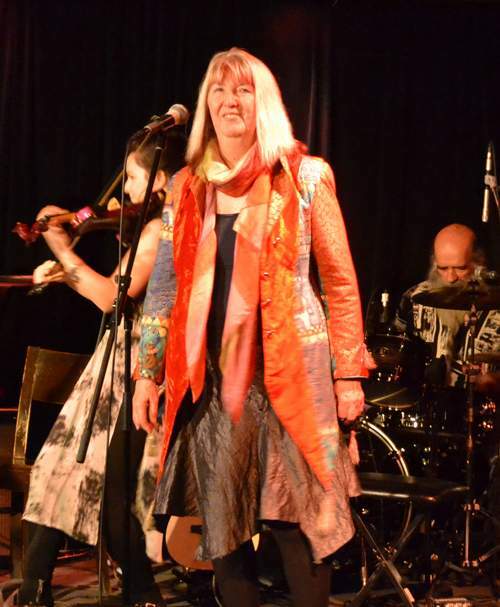 Maybe that’s because a good part of their repertoire runs back centuries or, perhaps, it’s the band’s merry demeanor, but there’s no air of legend about STEELEYE SPAN. Quite the contrary, the intimacy of “Hugh’s Room” only intensified the communal pull of the British band’s performance. From opener “The Blackleg Miner” to the a cappella encore of “Somewhere Along The Road” the quintet were tapping into the audience’s tribal consciousness, all the while rocking their folk rather hard. 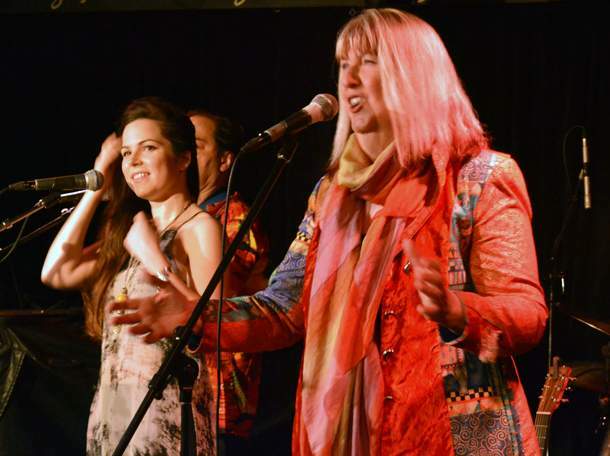 This aspect, not so obvious from the ensemble’s records became clear on-stage, as Maddy Prior, the only original member in the ranks, reclaimed her position as a forerunner of current metal’s female front. 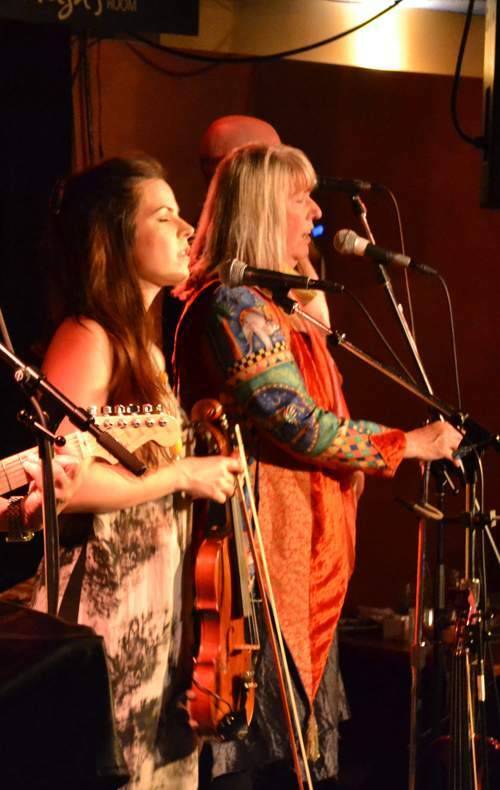 Its psych edge was echoing the swirl of “Dark Morris” from the band’s latest album, based on “Wintersmith” by the recently departed Terry Pratchett, this piece seeing Jessie May Smart’s overdriven fiddle do the dance. The violinist brings a whiff of innocence to the group’s show: she’s listening attentively, if with a smile, to Prior’s stories about the songs’ background and is duetting with Maddy on “My Johnny Was A Shoemaker,” one from the times when the ensemble had two female vocalists, but Jessie’s very instrumental in rendering the STEELEYE SPAN’s sound freshly focused. That’s what makes the Brits very invigorating – never more so, perhaps, as on “All Around My Hat” with the punters joining in the rock ‘n’ roll celebration of the traditional idiom lapping into the modern. That’s where the legendary roots feed the tree of life.